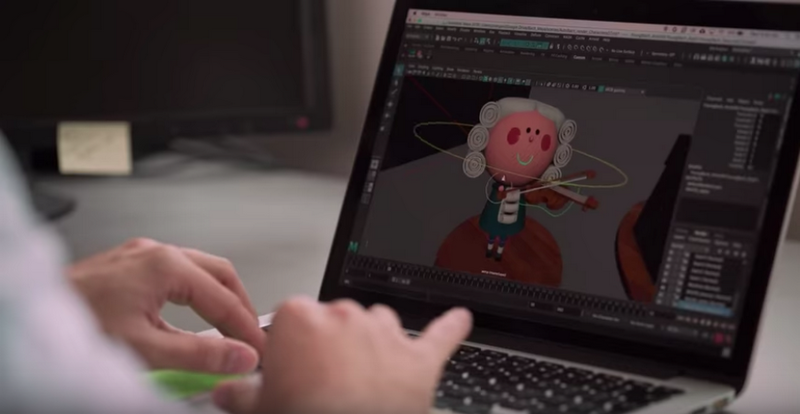 Next, we personalized the model to match Bach’s musical style. To do this, we trained Coconet on 306 of Bach’s chorale harmonizations. His chorales always have four voices: each carries their own melodic line, creating a rich harmonic progression when played together. This concise structure makes the melodic lines good training data for a machine learning model. So when you create a melody of your own on the model in the Doodle, it harmonizes that melody in Bach’s specific style.